"Perhaps I have been a little overzealous ..."
"Overzealous ? You've broken every rule in the book." 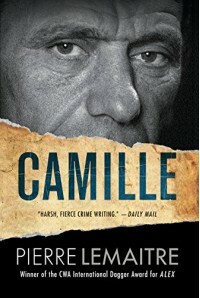 The conclusion to Pierre Lemaitre's stylish trilogy, whilst doesn't reach the exceptional heights of the previous 2 volumes is a fitting conclusion of the story of a man whose life is shaped by three women. You really do have to read this series in order to avoid spoilers and a nod to the translator who provides a flawless reading experience.